Vendor managed inventory can help contract manufacturers streamline their production lines. But how does VMI benefit OEMs? In what ways can vendor managed inventory be advantageous to original equipment manufacturers? In this post, we’d like to look at a number of ways that VMI helps OEMs run more efficiently while simultaneously increasing their profit margins. Inventory occupies shelving space that could be better utilized in other applications. VMI helps you cut down on your on-hand inventory and, as a result, free up space – and money – for more critical uses. With vendor managed inventory, OEMs are able to reduce inventory overhead without sacrificing your ability to respond promptly to customer orders. Keeping track of the parts and components that you have in stock takes time and effort. This translates into administrative costs because somebody must be hired to perform these tasks. With VMI, your inventory management is handled externally, reducing your overall administrative costs. Since vendor managed inventory requires clear communication between an OEM and their contract manufacturer, you’re able to better maintain a steady flow of actionable information. This means that you can reduce costs by better managing your employees based on the needs being communicated. Without the worries of being out of stock or delayed, VMI allows you to make real commitments to your customers. As a result, these customers will be more confident and more satisfied with your company’s performance and more likely to return in the future. 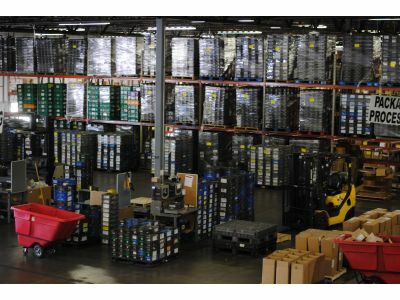 At ASF Components, we have the ability to quickly deliver components and parts to local and global plants. From fastener nuts and bolts to small stamping parts and class “C” components, we are a trusted provider of vendor managed inventory services. If you’ve been looking for ways to optimize your production process, contact us today to learn how ASF Components and VMI can work for you.